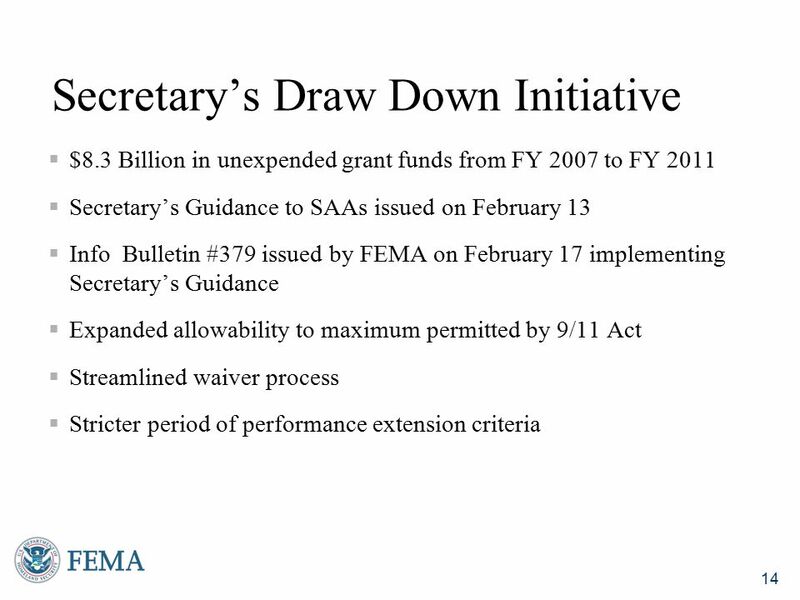 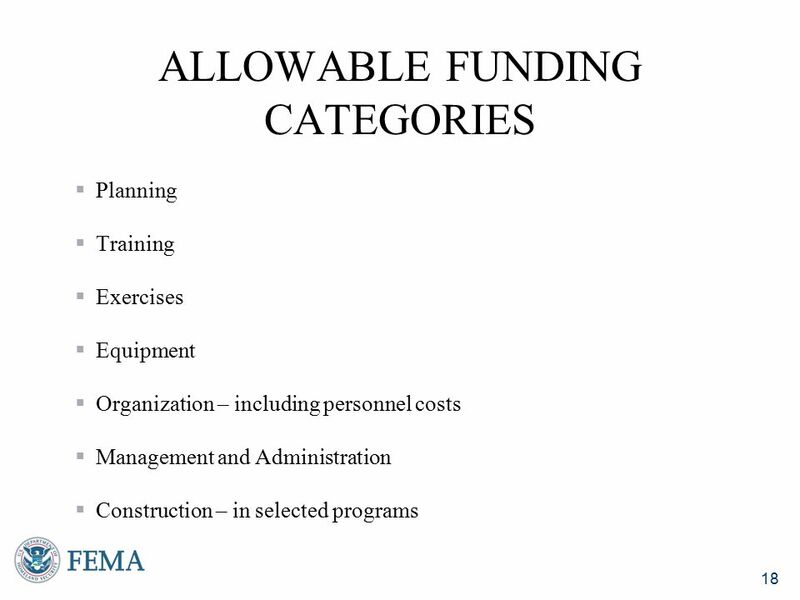 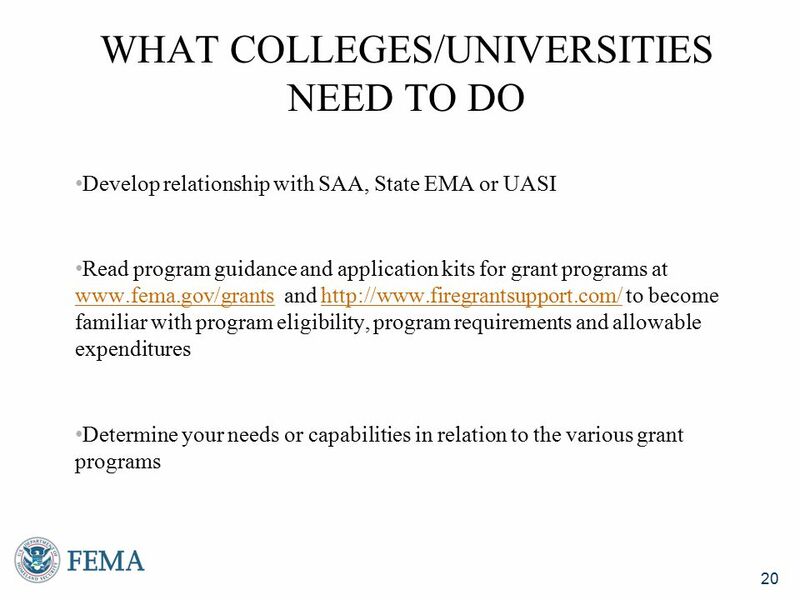 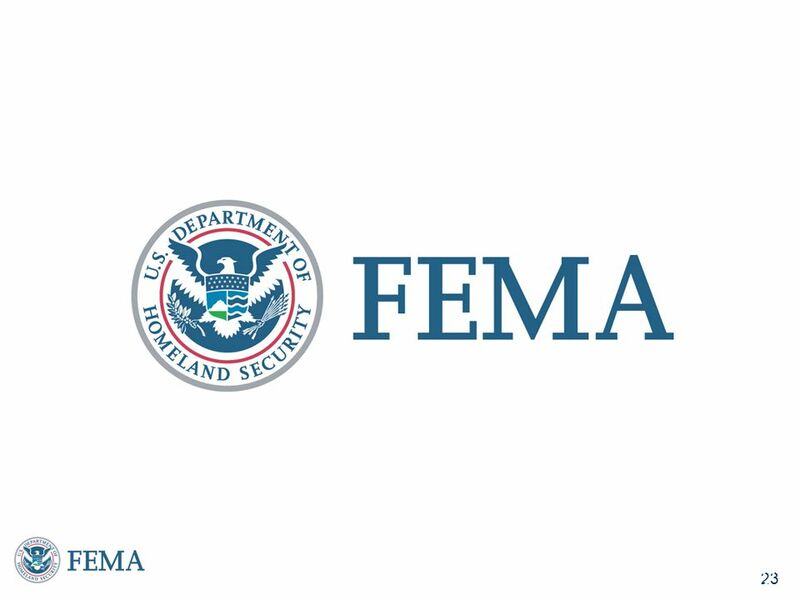 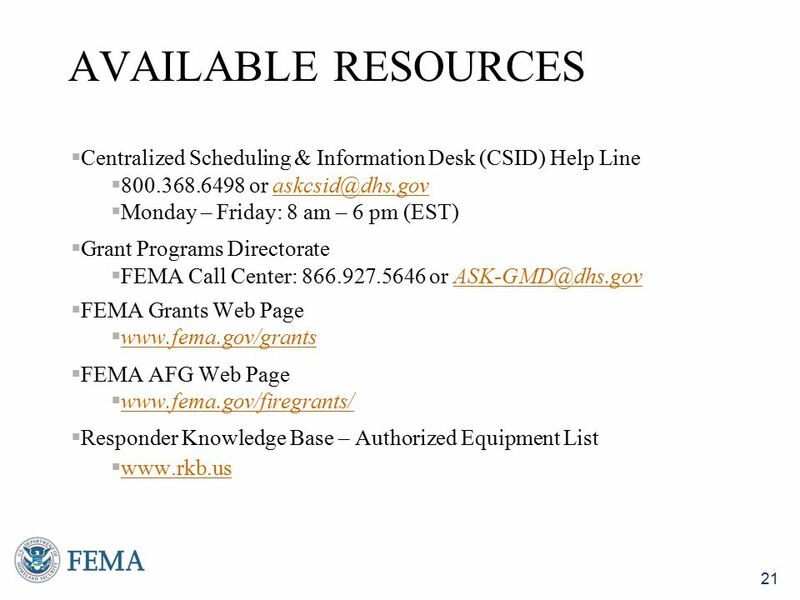 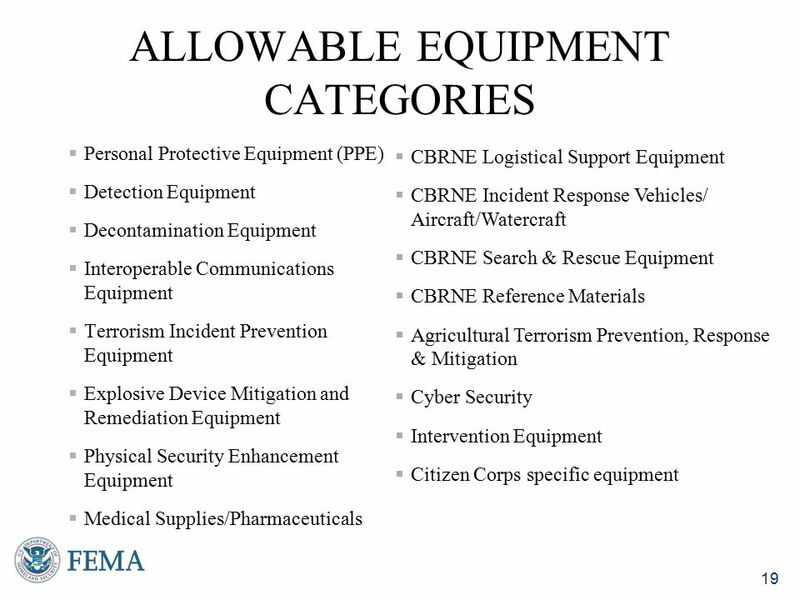 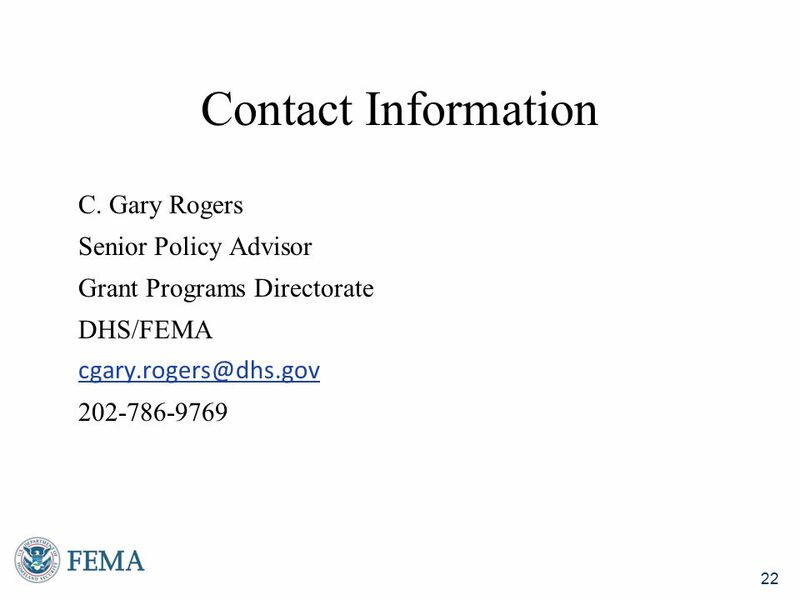 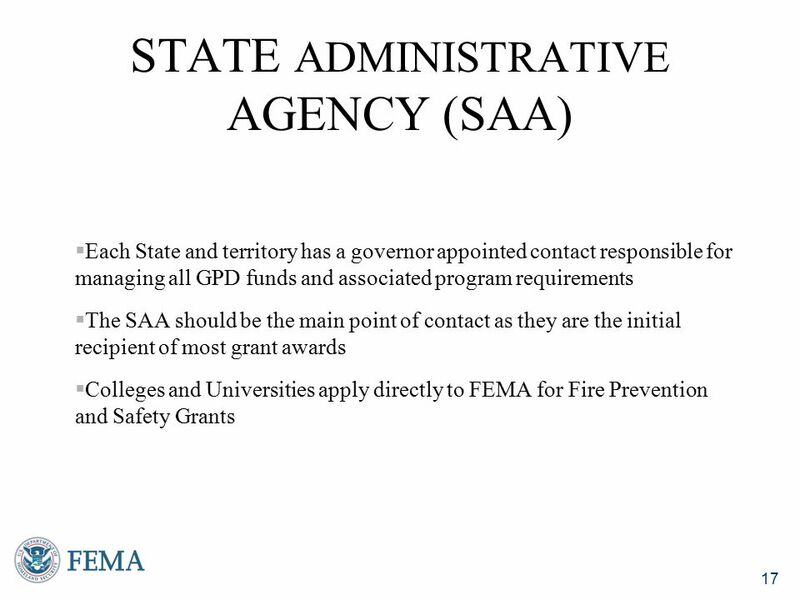 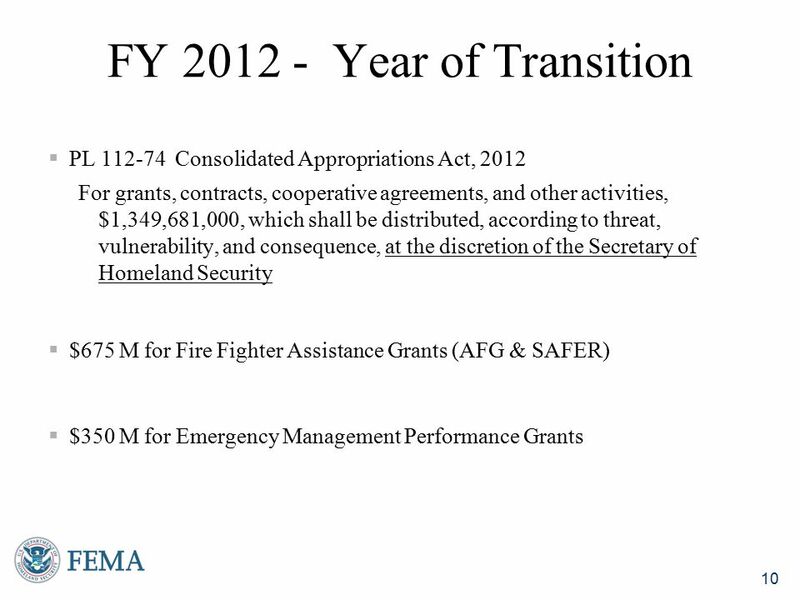 Each State and territory has a governor appointed contact responsible for managing all GPD funds and associated program requirements The SAA should be the main point of contact as they are the initial recipient of most grant awards Colleges and Universities apply directly to FEMA for Fire Prevention and Safety Grants Colleges and Universities apply directly to FEMA for Fire Prevention and Safety Grants. 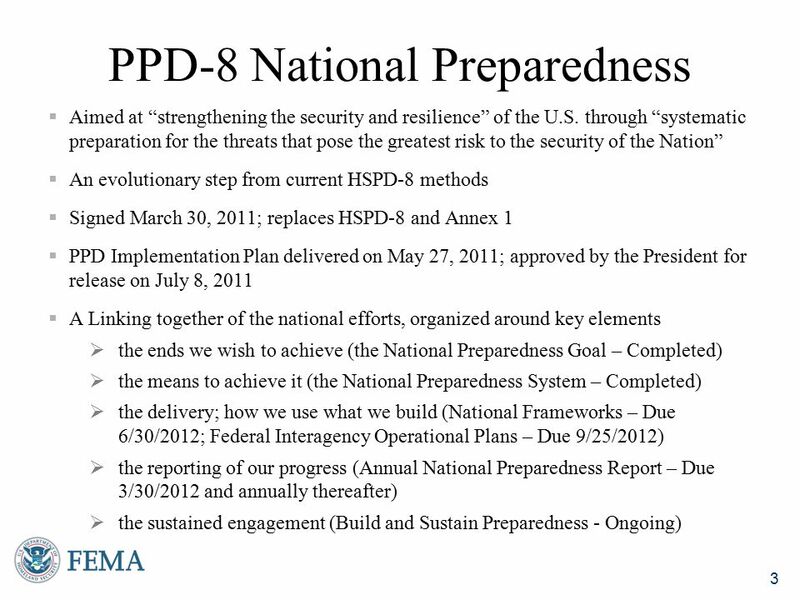 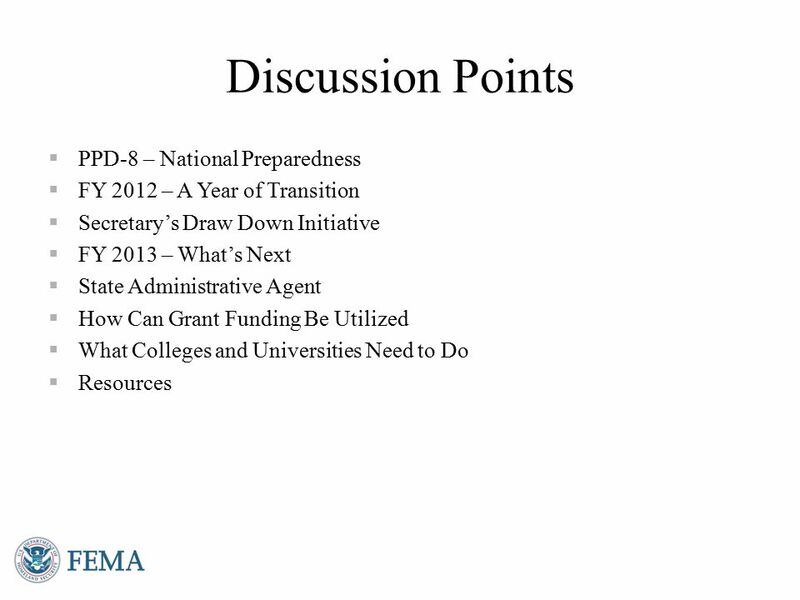 Download ppt "Discussion Points PPD-8 – National Preparedness"
The Metropolitan Medical Response System Program Overview. 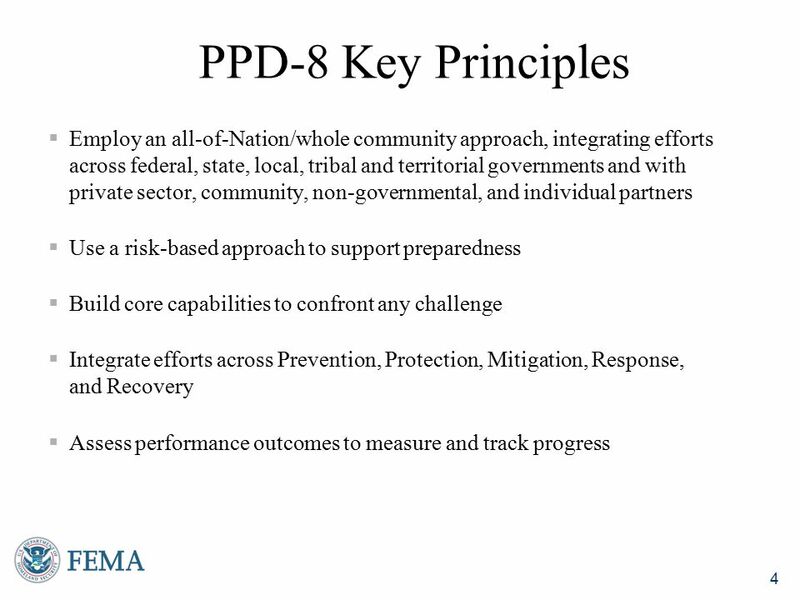 Disability Inclusive Disaster Risk Reduction Recommendations for Integrating the Preparedness, Response, Recovery and Mitigation Needs of the Whole Community. 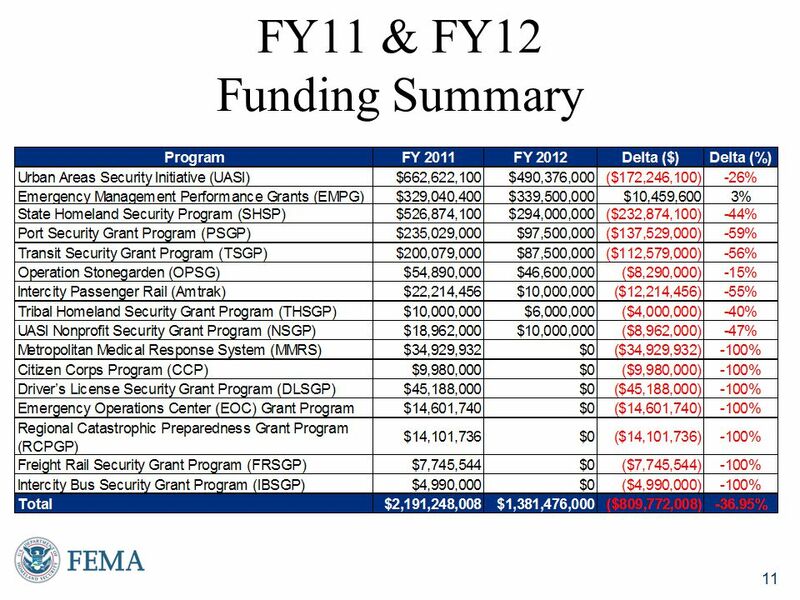 Minnesota Port and Waterway Security Working Group Meeting April 12, 2012. 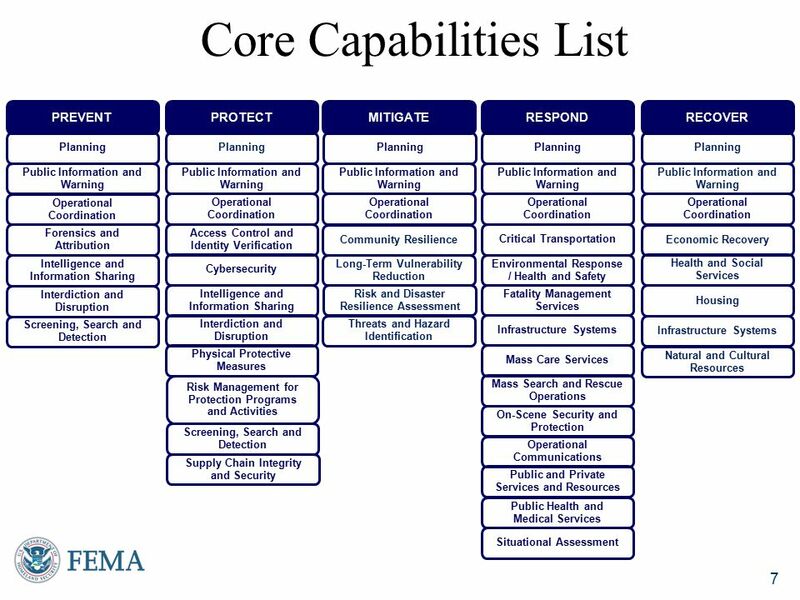 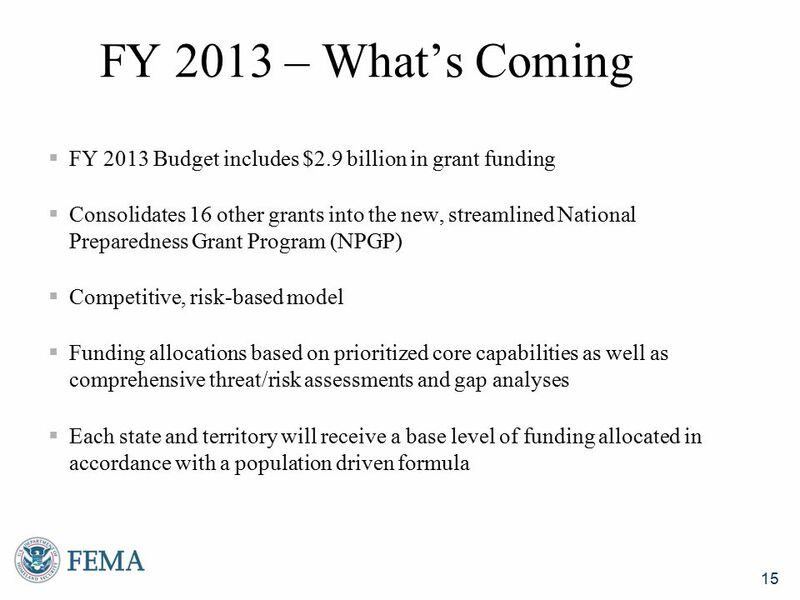 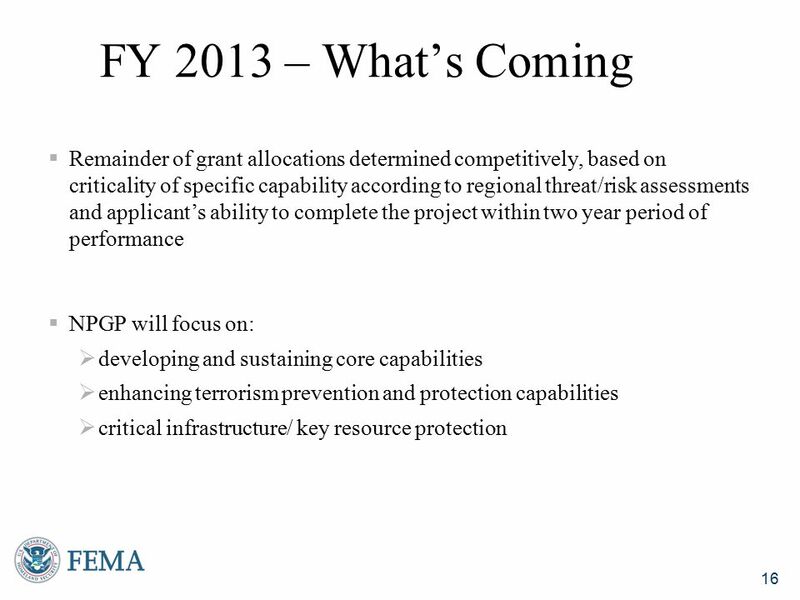 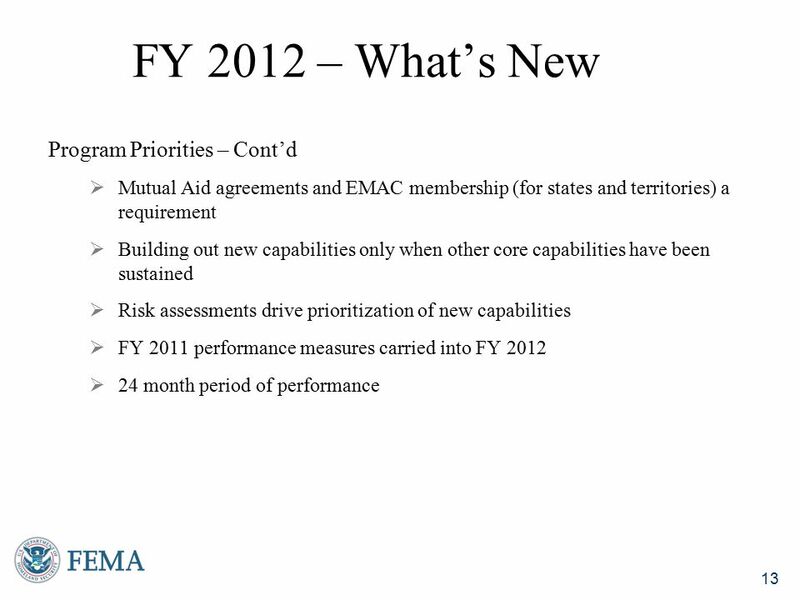 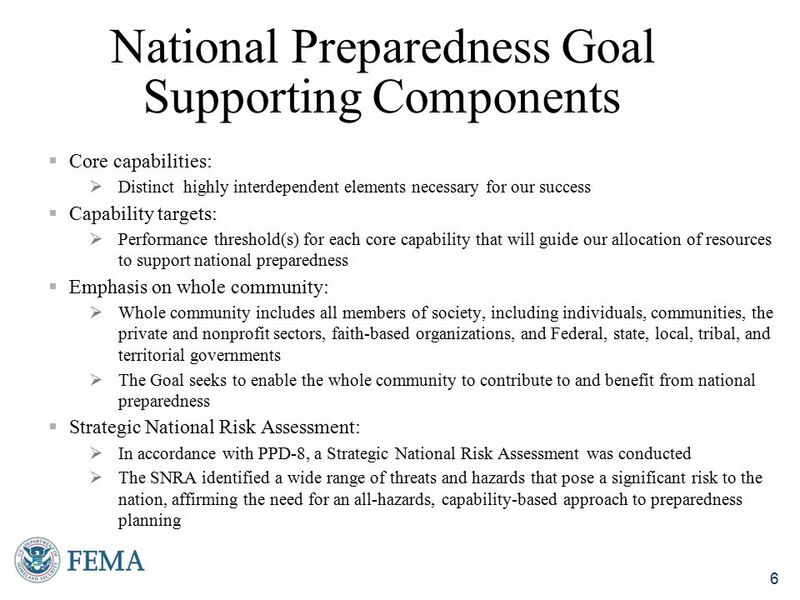 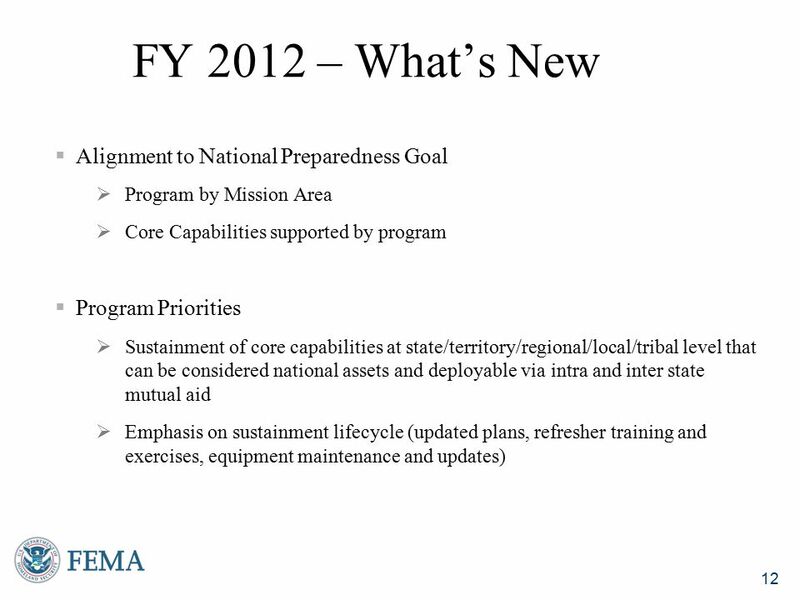 National Preparedness Report Understanding Core Capabilities 16 April 2013. 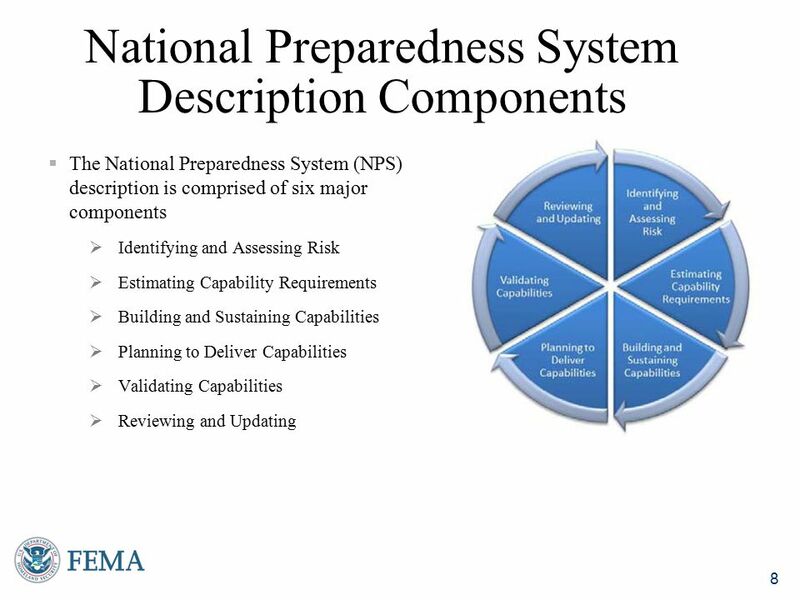 NIMS Resource Management IS-703.A – August 2010 Visual 2.1 Unit 2: Resource Management Overview. 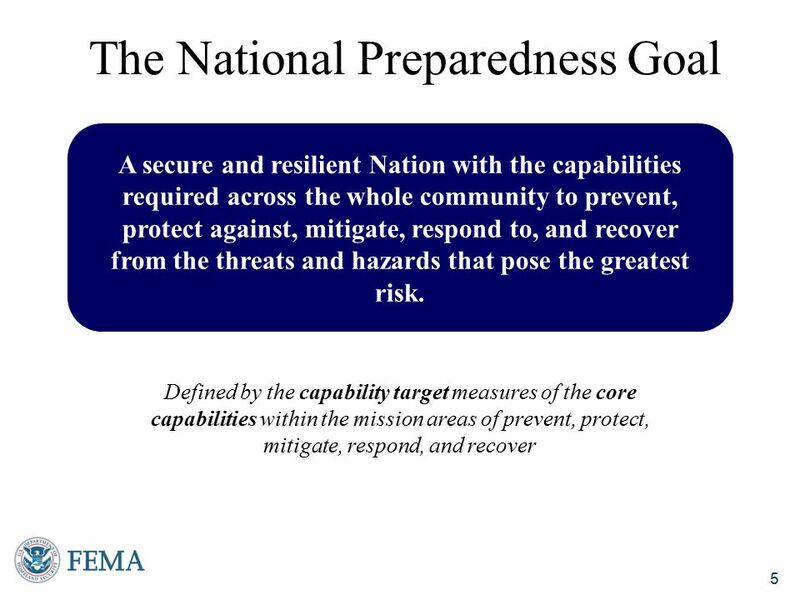 Assistive Technology in Emergency Planning, Response and Recovery George Heake Disaster Management and Response Coordinator for: – Institute. 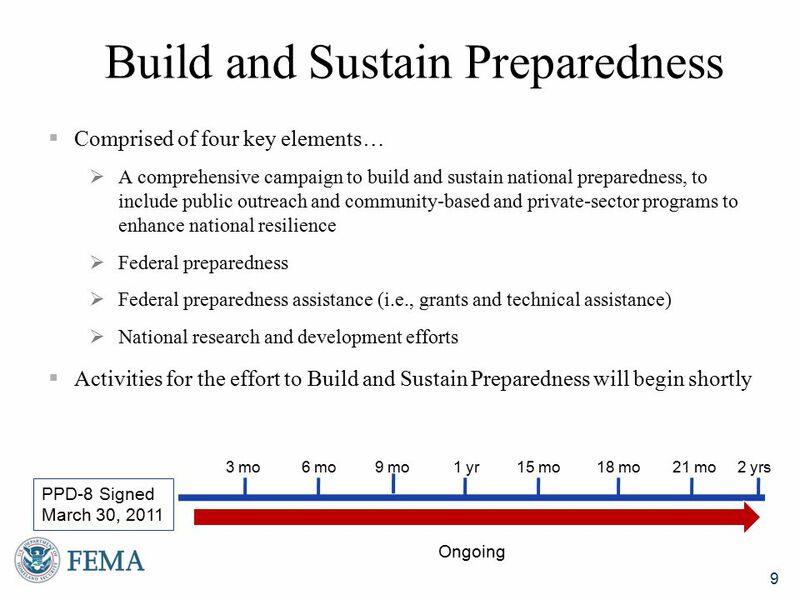 Sandy: Building Back Stronger, Safer & More Resilient Tim Crowley, Director, Mitigation Division, FEMA Region II December 2012.